Amazing Threads FLASH SALE FOR NON-KNITTERS too! 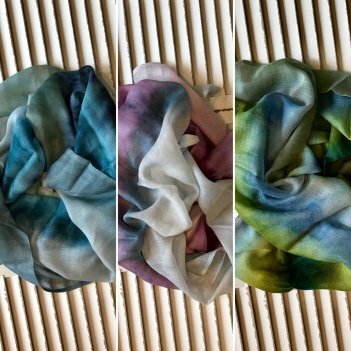 We have some beautiful 100% alpaca hand dyed scarves that are not only gorgeous to look at but also to wear! Plus, a few pairs of Alchemy's hand dyed leggings! ALL AT 30% OFF. 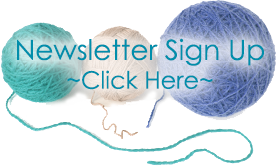 Knit Club Members are 40% OFF. Gift a piece of art hand painted from the Fair Trade studio in Arequipa Peru! 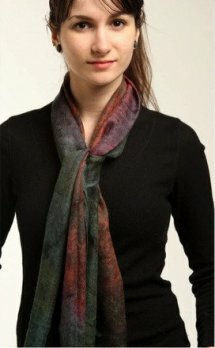 100% Baby Alpaca woven scarf is hand painted with eco friendly dyes in a one of a kind artistic product. The baby alpaca scarf is heavenly soft and there are a variety of colors. If you love Alchemy Yarns you will love Gina's hand dyed Leggings! They are generously sized. I wear a Medium/Large with room to spare. We only have a few remaining. HOLIDAY YARN BUCKS are HERE!